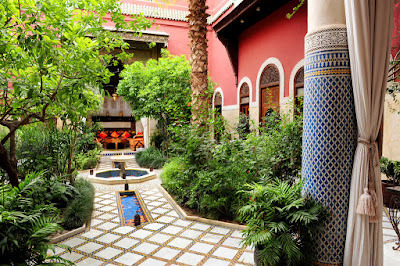 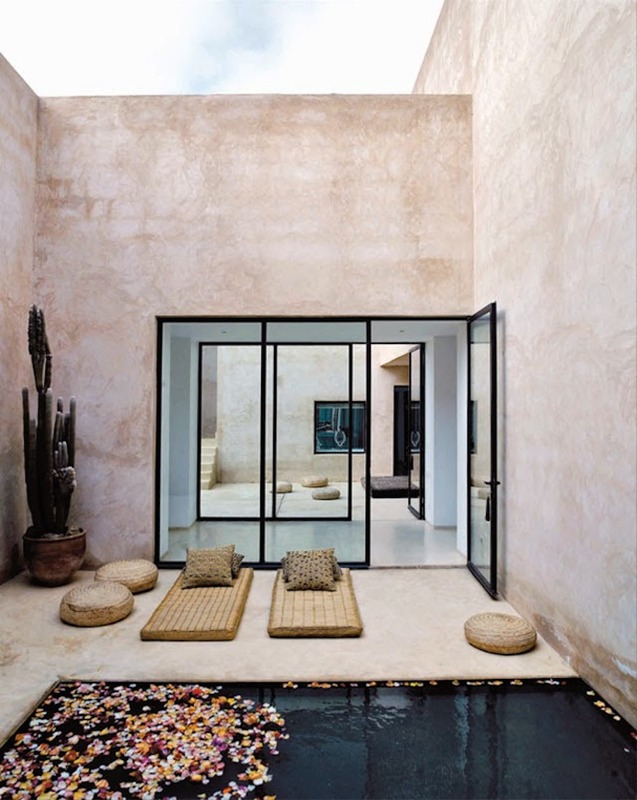 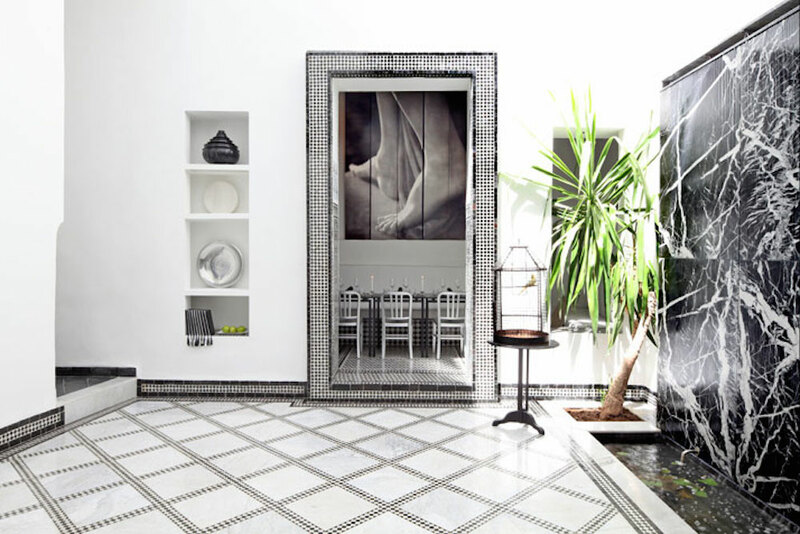 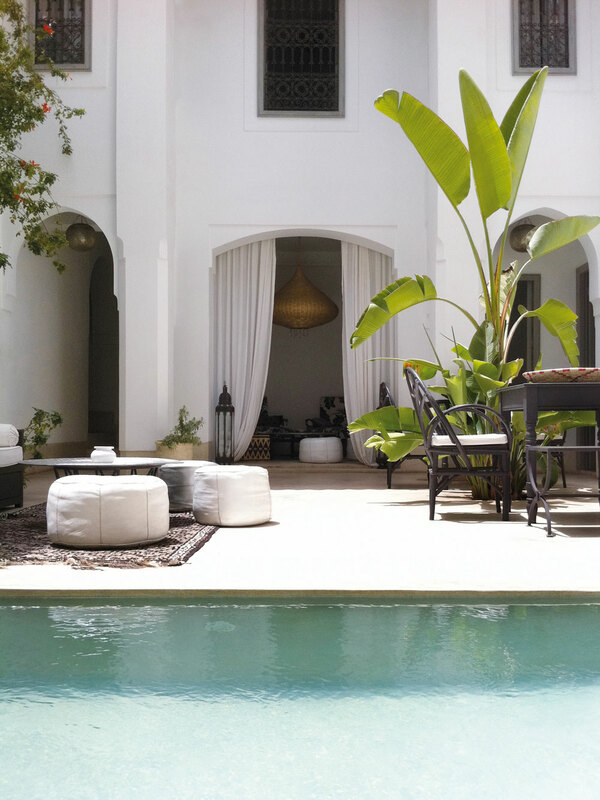 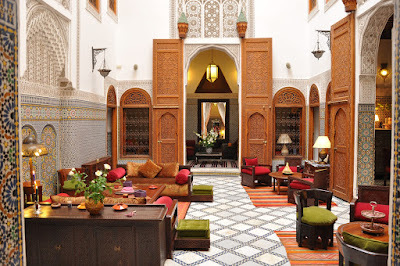 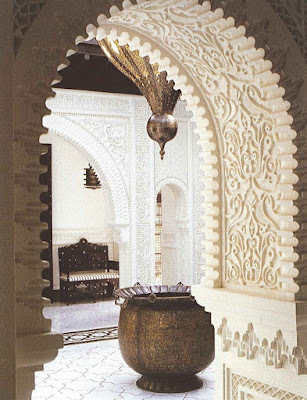 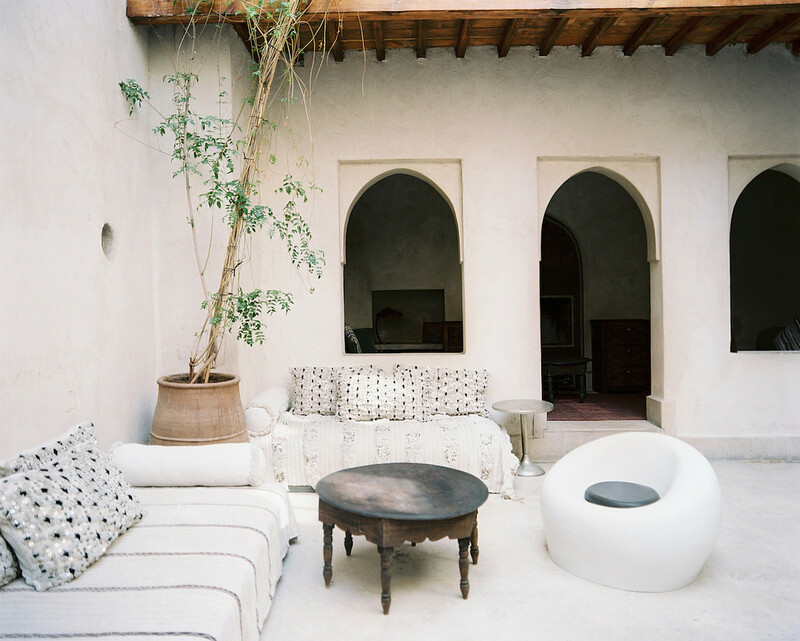 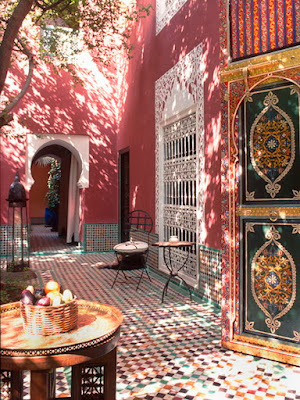 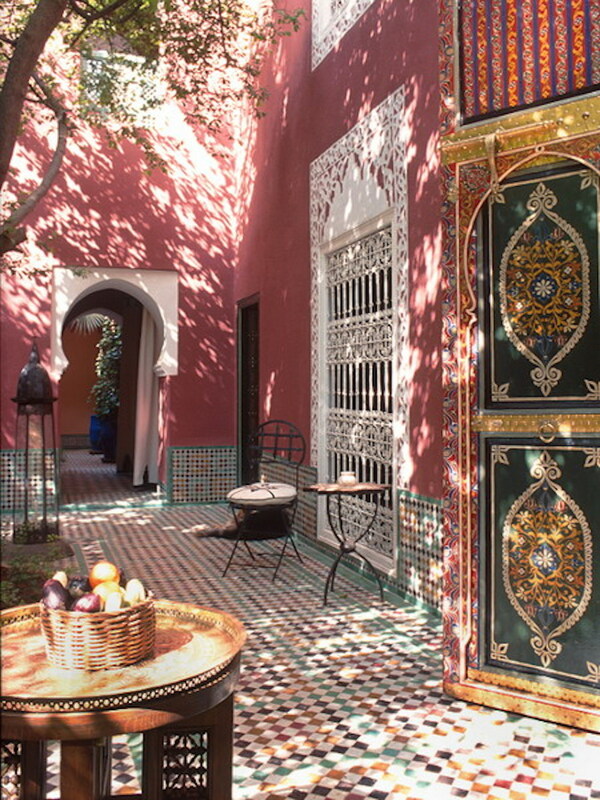 Take a trip to Morocco and chances are you’ll find yourself basking in one of these interior courtyards. 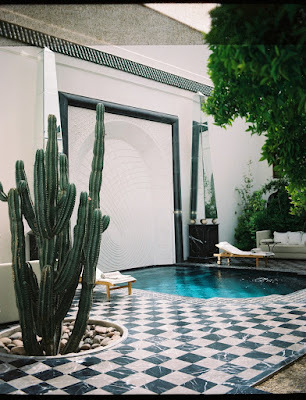 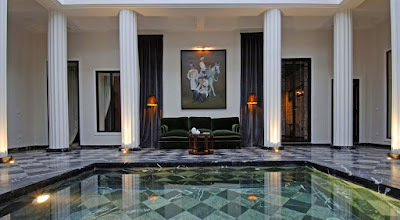 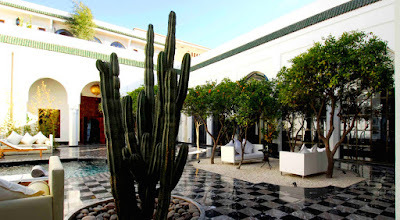 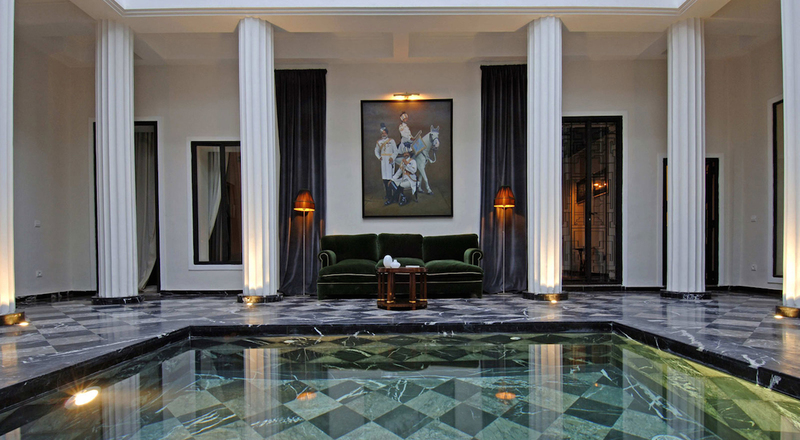 A way to bring a green space or even a pool area into the house, courtyards practically define Marrakech‘s traditional palaces called riads. 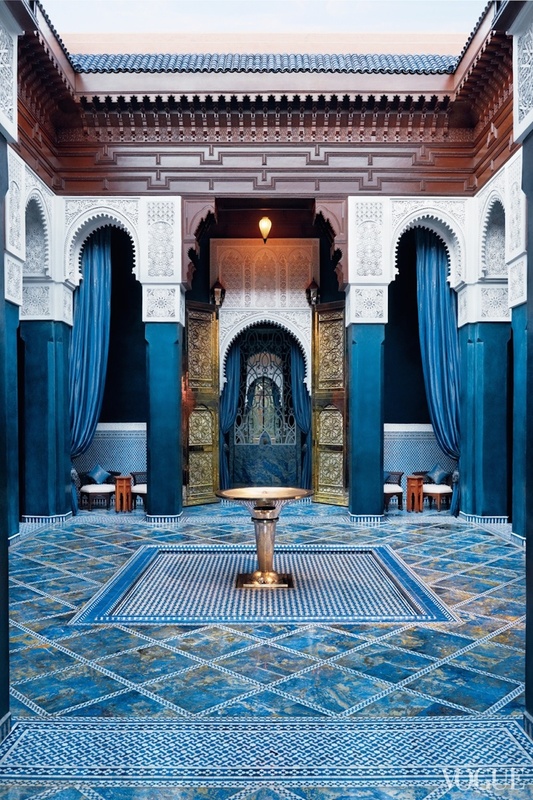 If you’re thinking of building one into your home, find inspiration in some of these lovely hotels and restaurants, rife with tiles, cacti, ethnic textiles and those undulating tadelakt plaster walls. 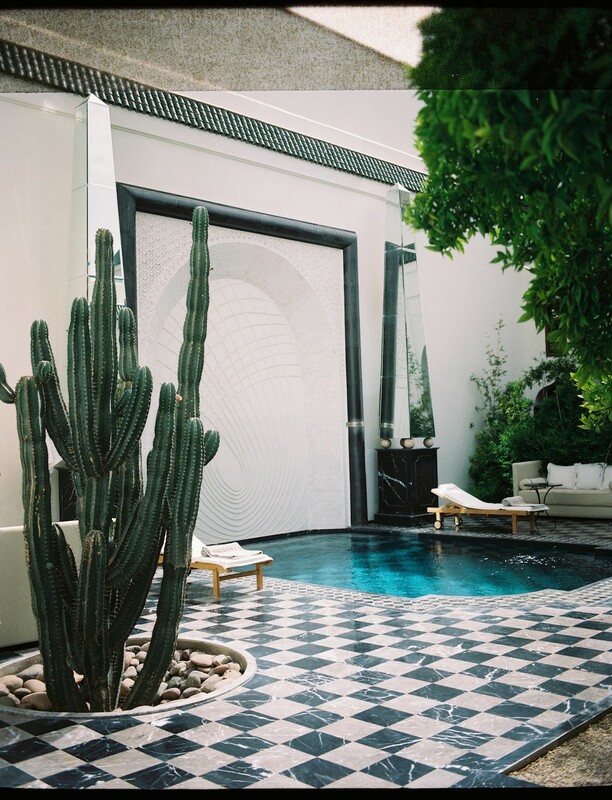 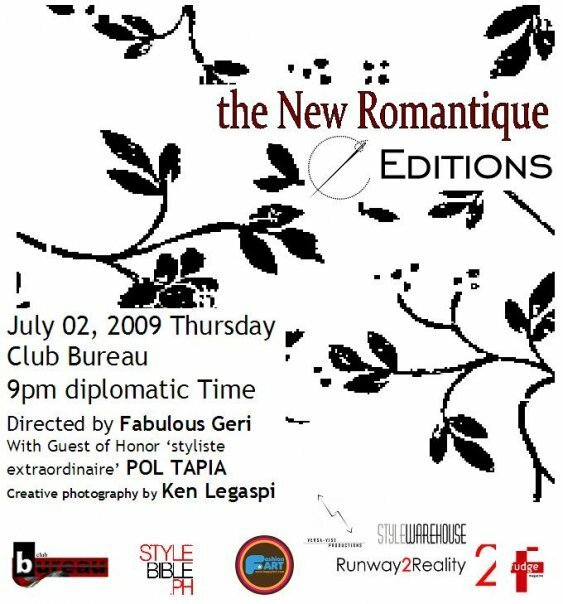 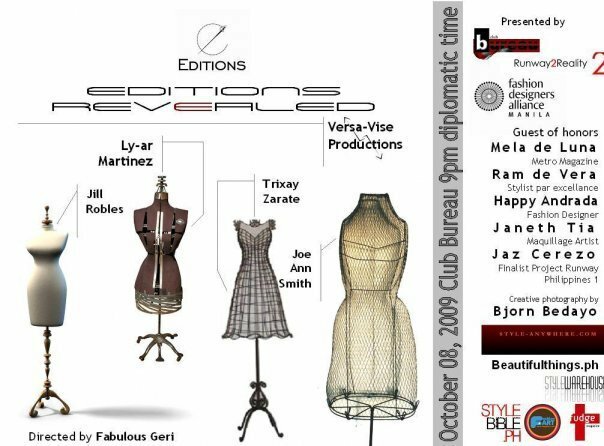 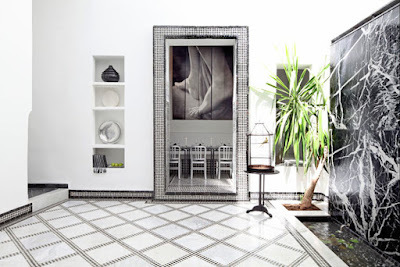 If you’re wary of being too hippie-dippie, mash it up with modernist touches like an all-white color palette or geometric jade inserts, a la Yves Saint Laurent‘s legendary decorator, Bill Willis. 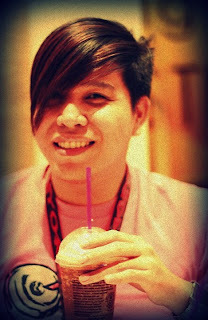 He was just crazy about tadelakt.